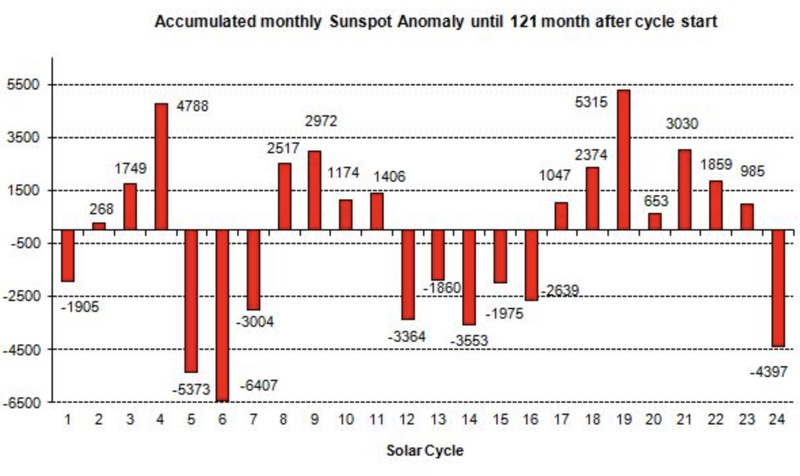 All other months were below average. 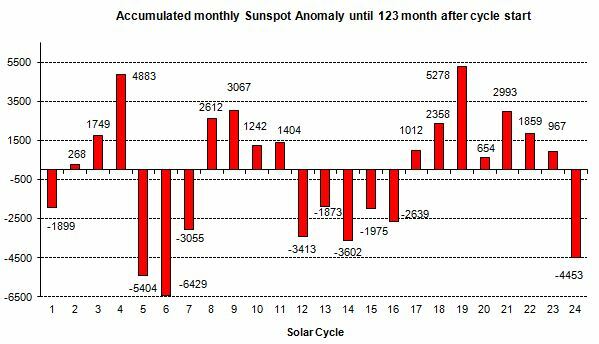 With the sunspot number (SSN) of 3.1 for the monthly average for December and a total of 24 days without any spot (throughout the second half of the month the sun was spotless), we are in the middle of the cycle minimum. 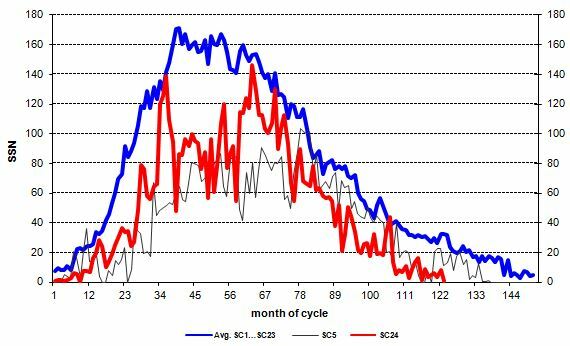 Clearly, SC 24 is the lowest activity since the Dalton Minimum (SC 5,6,7) around 1810 when using the entire cycle and not only the maximum activity in short peaks (see Fig. 1).